Honda has announced it would recall an additional 4.9 million cars worldwide with airbags made by Takata due to a potential safety hazard. The airbags are in all Honda vehicles and have led to at least six deaths in accidents in the US and Malaysia. On Wednesday, two other major Japanese auto makers, Toyota and Nissan, reported the recall of 6.6 million cars with a similar problem. 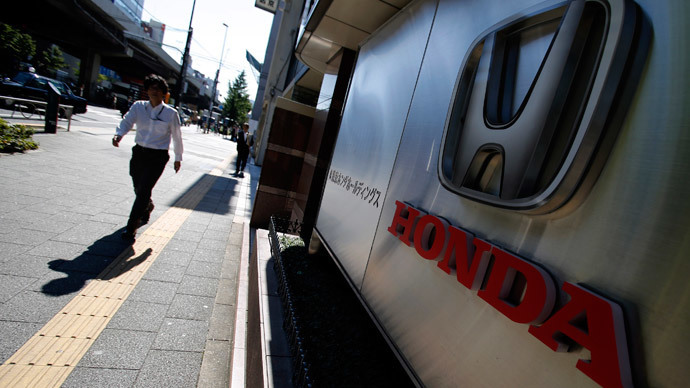 Honda has already recalled 14 million cars worldwide, more vehicles than any other manufacturer, with 1.72 million of those in Japan. There have been 31 million vehicles recalled worldwide since 2008 over airbag problems. The recalls linked to the Tokyo-based parts maker Takata are greater than the largest US recall of 21 million vehicles by Ford in the 1980s for a parking gear problem, said US regulators. The Japanese car manufacturers are investigating the spraying of shrapnel inside a vehicle when the airbag is deployed. Previous investigations have shown that Takata airbag inflators were not properly sealed and could be damaged by moisture. Ammonium nitrate, the chemical propellant used in inflators, may also be the cause of the problem. The airbag crisis has peaked in the last two years. US regulators hold Takata responsible for the deadlock and intend to impose a daily fine of $14,000 on the Japanese manufacturer over its failure to co-operate fully with investigations into product faults. Takata officials deny the accusations and say the company is fully cooperating with the investigation. A Japanese transport ministry official said the recalls made by Toyota and Nissan were a precautionary measure. No data on accidents or injuries caused by faulty airbags had been reported by the two companies.